This spring I don’t think that I shot as much softball as I should have so it was nice to get a chance to photograph a little more before the calendar year moves on. 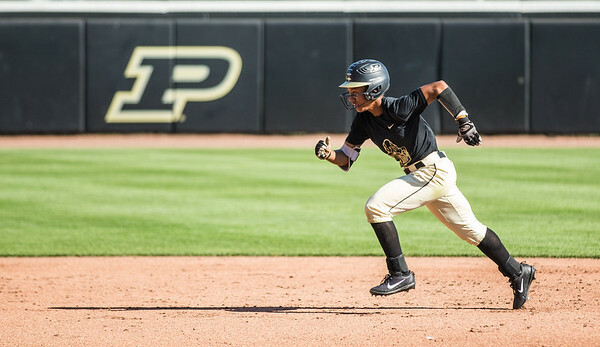 Last night the Boilermakers played a doubleheader against Lakeland College. 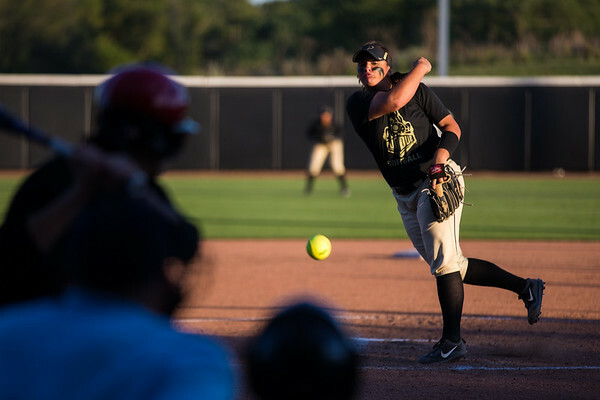 As nice as it was to shoot softball again it was especially nice to shoot for Purdue. They have a great stable of photographers so any time that I see my name along side of those guys is great. For most of the first game I worked with the light. I knew that during the second game I would lose it so I pretty much stayed on the first base side of the field to have the light on my side. During the second game I moved around a bit change things up as the light had pretty much left the infield at that point. 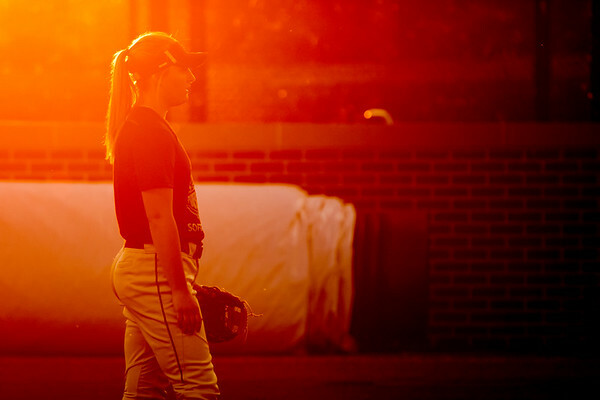 It was while out behind the centerfield wall that I noticed the sun nearly setting over the right fielders shoulder. I have a precarious perch to get over the centerfield wall, and I used it to make the photo above. The sun coming straight into my lens gave the photo a unique look. The white balance here is at daylight, but it looks so different. All I really did in post was to add some blacks to the photo to make it pop a little more. This is one of my favorite photos this year just because it is so different. It appears to have a filter on it, but it does not. 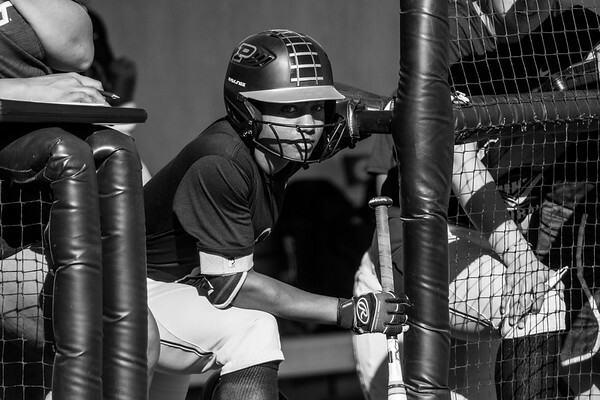 I usually don’t use my Canon 100-400mm lens for softball. At the last second I decided to take it to get in a little closer to the action. On my Canon 7D Mark II it is kind of like shooting with a 640mm lens. That allowed me to shoot across the diamond a couple of times to really get in there and see what was going on. The photo above is one of my favorites on the night, and would not have been possible without some long glass. I do like the bokeh that my 400mm f/2.8 gives me though so I don’t know how many more times I will try this. When the light is good though it is a great option to lighten my load and make me a bit more mobile. This weekend will be a whirlwind. The two games last night were fun to shoot, but with an early call this morning I had to really hustle to get everything uploaded and backed up before going to bed. I never want to lose anything so that is a vital part of my gameplay. Today I have swimming and then football at Illinois State to cover. These kind of days are very tiring, but they are also great fun. Hopefully when my week in photos is uploaded Sunday I will have some great images to show you. I feel like I started off pretty good already this weekend with the softball games.